A medical career, like the hit ABC drama, Grey’s Anatomy, is supposed to last forever right? You made the sacrifices, and put in the time and toil to become a successful physician. And yet lately, you may find yourself feeling slightly wistful over – or even downright envious of – the perceived freedom and joie de vivre exhibited by the food truck vendor who sells you lunch every Tuesday and Thursday outside your hospital or medical practice. Or the 22-year-old internet millionaire whose “office” consists of his couch and an Instagram account. For whatever reason, you have fallen out of love with being a doctor, and would rather ride a Bird scooter off into the sunset than put in another punishing shift at the hospital, or waste another second of your life hunting down the right ICD-10 code for eczema. If this sounds even vaguely familiar, rest assured you are not alone (or suffering from the effects of a brain tumor or mid-life crisis). American doctors are currently in the throes of a burnout epidemic, which has been attributed to everything from medical errors and depression, to mental and general health issues. Whether you are suffering from the effects of burnout or have decided to switch careers to pursue a different passion or career goal, here are a few pitfalls to avoid when planning and executing your career transition and new job search. Everyone needs an actionable escape plan, especially doctors who generally can’t just quit an unsatisfying job on a whim with a mere two weeks’ notice. Making decisions from a place of stress or burnout can lead you to cut corners, and prematurely accept a job for the sake of change rather than its merits. Before you start carpet bombing the internet with your resume, set aside some time to really think about what your ideal job might look like, and write out a mock job description to get the ideas flowing. You may find that what you thought you wanted to do and what you actually want to do are completely different (pro tip: that’s the point of the exercise). Once you have a clearer picture of your goals, make a list of small but actionable steps you can take to set the thing in motion. If you want to make a change but don’t know where to start or feel that change would be insurmountable for any number of personal and professional reasons, imagine what you might say if the roles were reversed and a patient came to you with a similar problem. Would you tell them to wait it out, hang in or stay miserable and risk a possible nervous breakdown or stroke because it was the “right” thing to do? If you feel it’s time to make a change, trust your intuition and give yourself permission to act. Every phase of your medical career trajectory up to this point was most likely predicated on some level of help and support from teachers, academic advisors, mentors, professional contacts, and friends and family. Cultivate your current network and look for resources to help reach your next career goal. 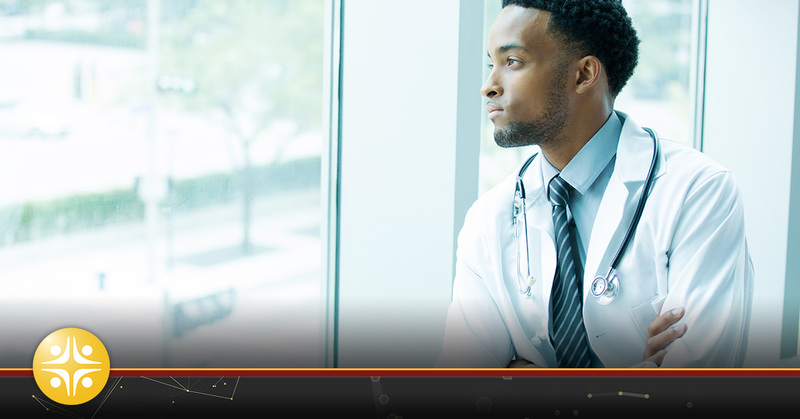 The good news is that all signs point to a strong hiring cycle for physicians.Finding a job is easier than it has ever been. Finding the right job without any disruptions to your career and income, might require some assistance. MedSource Consultants is here to help you plan your career transition. Contact us today to learn more about our healthcare recruitment services for physicians.